Happy Halloween from Blakeney Cottage Company! 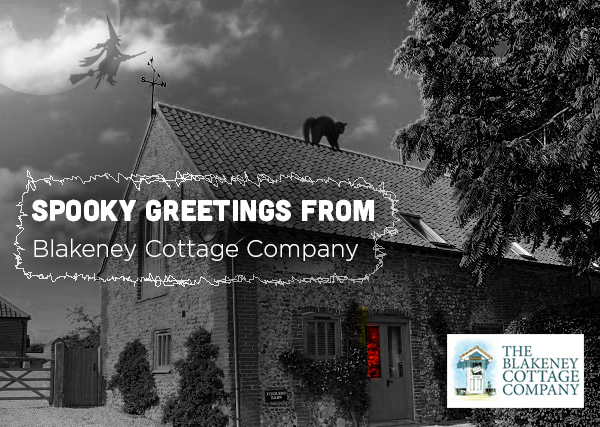 We love Halloween and spooky shenanigans here at the Blakeney Cottage Company. North Norfolk is steeped in paranormal history and Norfolk has more ghost stories and hauntings associated with it than anywhere else, earning it the title: Most haunted county in England. To get into the holiday spirit we are scaring ourselves silly with our very best Norfolk ghost stories! Fiddlers Barn (above) is a property on our books and is linked to the tale of a Ghostly Fiddler and his Dog. 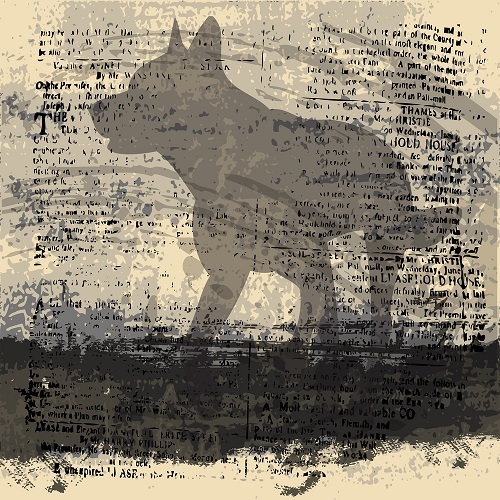 A ghostly dog notorious all over the East of England is the legendary Black Shuck. For centuries the huge shaggy beast has been most widely spotted on North Norfolk’s salt marshes and coastal paths with glaring red or green eyes (depending which version of the legend you believe). This terrifying phantom hound is also reported to haunt Little Lane in Blakeney together with a spooky coach and horses. Sometimes the Shuck appears to be floating on a swirl of mist or as a headless monster and almost all of the stories relating to the Shuck tell of the phantom’s appearance preceding a terrible event. 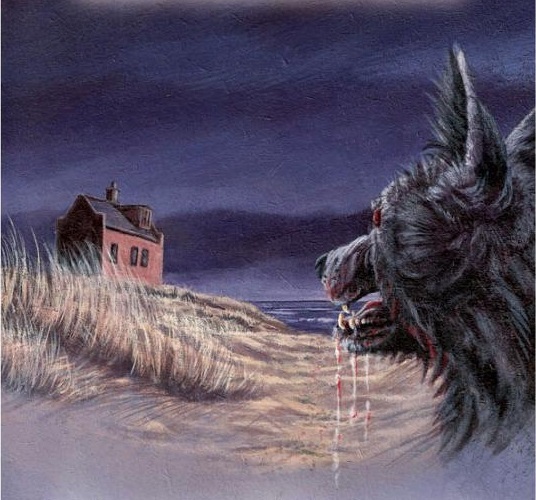 The Story of The Black Shuck in Blakeney has been immortalised in Piers Warrens superb novel: ‘Black Shuck: The Devils Dog’ based around Blakeneys famous Watch House. The fantastic cover artwork by Ben Waddams for the novel ‘Black Shuck: The Devils Dog’ by Piers Warren which is based in and around Blakeney. Another supernatural phenomenon synonymous with the North Norfolk coast are multiple varieties of Faeries. 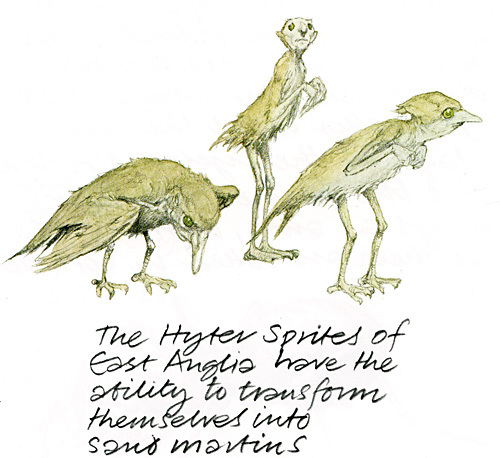 Blakeney in particular is reportedly home of Hytersprites, these sand coloured, green eyed creatures are very shy and have the ability to transform in to Sand Martins (a commonly seen small bird). They reportedly kidnap badly behaved children who stray on to the salt marshes but it is said ‘they are grateful for human kindness’ and have been know to return lost children to their homes. Above is renowned artist Alan Lee’s impression of the Norfolk Hytersprite. Spooky Secret Tunnels and a Ghostly Friar! Blakeney was once a major seaport and under the town there is reputed to be a complicated maze of underground tunnels that, in days gone by, attracted smugglers from far and wide. The public can still visit the ancient Guildhall, a 15th century under-croft closely linked with the smuggling and tunnels in the village. Blakeney Guildhall (above) is closely linked with Smugglers Tunnels in years gone by and is still open to the public! 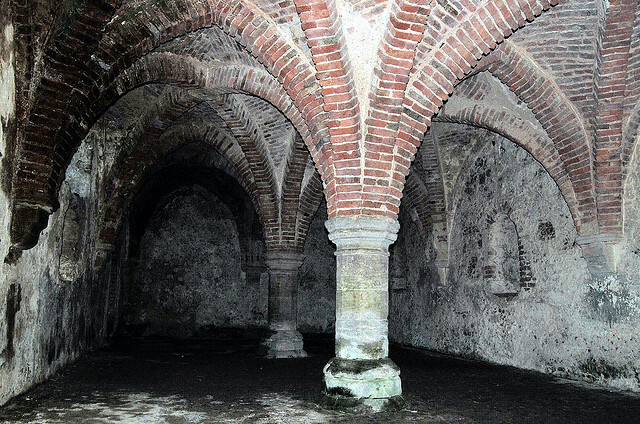 The secret tunnels were supposedly used as a mortuary for drowned sailors. Stories of hauntings, a ghostly friar and a disappearing fiddler and his little dog have all featured in Blakeney’s rich history. Blakeney’s village sign features the fiddler and his dog. According to legend, the fiddler and his pooch were enticed into a mysterious tunnel. He went to explore while playing his fiddle and he and his dog were never seen again. 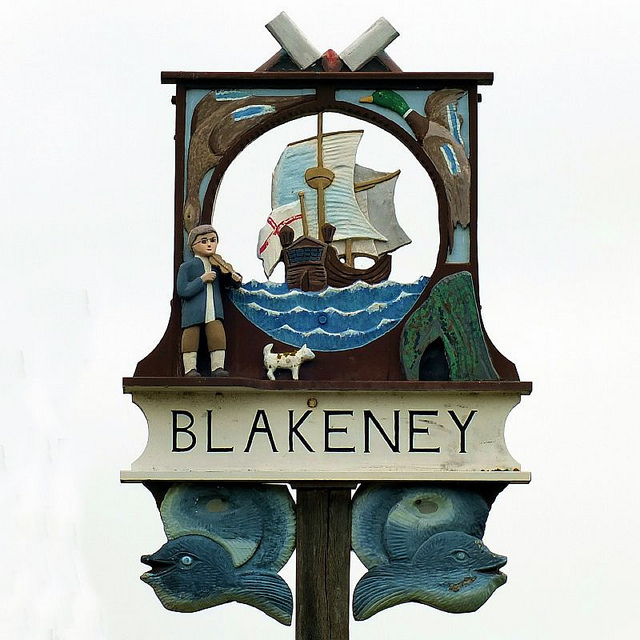 Pictured above: Today, Blakeney’s Village Sign clearly shows the Ghostly Fiddler, his Dog and the Tunnel! Have you got a spooky story to tell? We’d love to hear them – let us know on our Facebook or Twitter pages. Or visit Blakeney for your own Spooky adventures, just keep and eye out for Black Shuck!